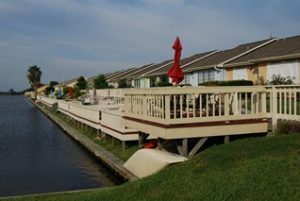 Campeche Cove Townhomes line the north bank of Campeche Cove Lake, a small land-locked body of water near 99th Street on the west side of Galveston. 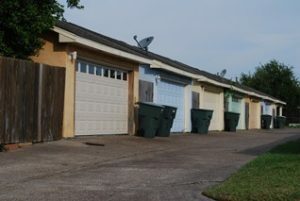 These single-story townhomes feature private garages and water views of the lake. 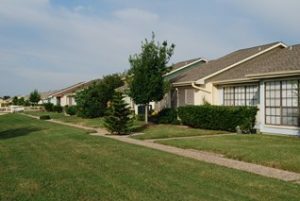 Campeche Cove is a golf cart ride away from the Galveston Municipal golf course and a short drive to other west end attractions.